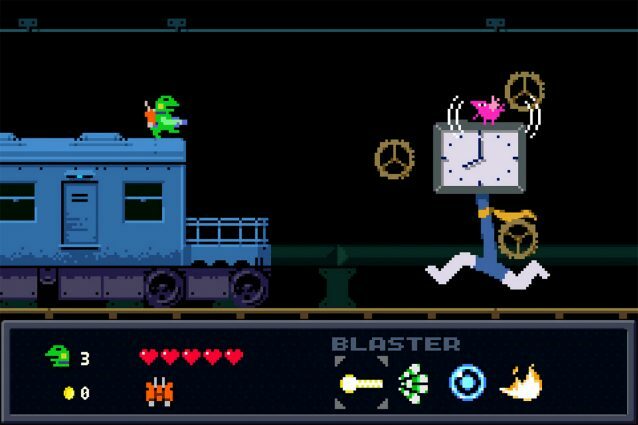 Kero Blaster is another game from developer Daisuke “Pixel” Amaya, the man who almost single-handily jump-started the indie gaming scene back in 2004 with Cave Story — a game critically adored and is still being ported to current generation consoles to this day. Kero Blaster originally released on PC and iOS in 2014, but it has now made its way to consoles for the first time with this PlayStation 4 port. 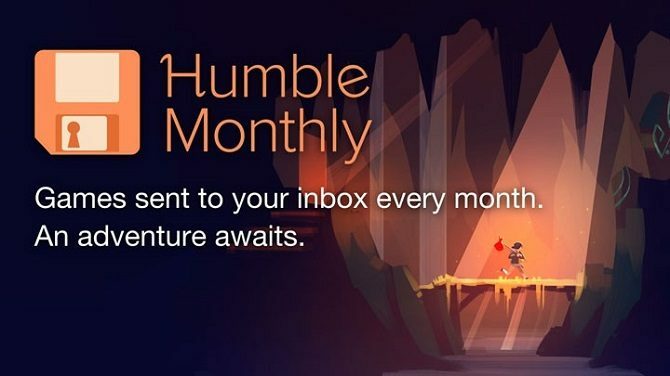 As someone who was never a die-hard Cave Story fan, but recognized its importance, I was interested to see what this creative mind brought us next. Once I experienced the game’s genius opening screen, I knew I was in for something special, even if it was short lived. As soon as I booted up the game I was put on what seemed to be the title screen, although the title Kero Blaster was faded grey and there was no way to progress past this screen. What I could see was the player controlled bipedal frog and many mysterious black creatures that had situated themselves around the screen. At the bottom, the game told me how to move, jump, shoot – nothing else. I got the feeling I had to kill all these creatures to progress, so I shot the two enemies on the ground. Once I experienced the game’s genius opening screen, I knew I was in for something special. One enemy was just out of my starting weapons bullet height, so I jumped while shooting and was able to get rid of it. There was another situated on the game’s title, and was out of my range even when jumped so I learned that I was able to aim my shots upwards and cleansed the title of it. Finally, one was situated on a platform that I couldn’t reach unless I climbed a ladder, so I ascended it and wiped out the enemy. 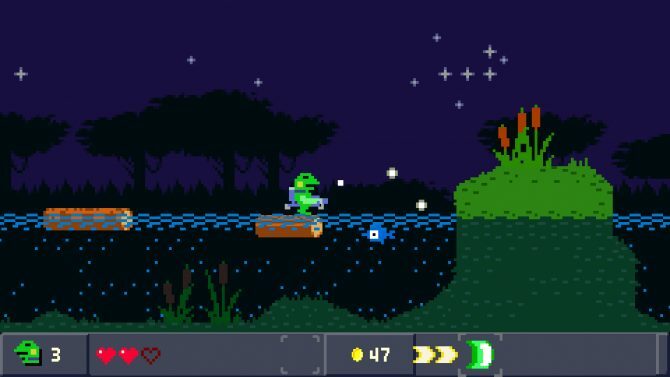 After I killed all of the enemies, the title Kero Blaster lit up and the in-game phone starting ringing. I went over and picked it up, bringing me to the main menu. On this simple screen, the game had taught me all of its basic mechanics. After noticing this, I couldn’t wait to see what else Pixel had in store for me. 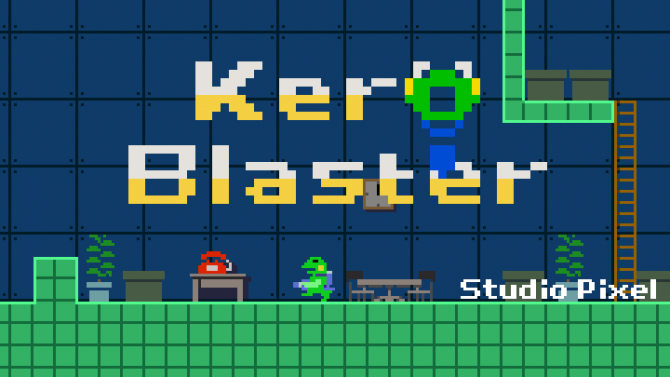 Even with its simplistic graphics that nest themselves somewhere in between a Commodore 64 and an NES game, Kero Blaster is still able to tell a very thoughtful story without a lot of dialogue. 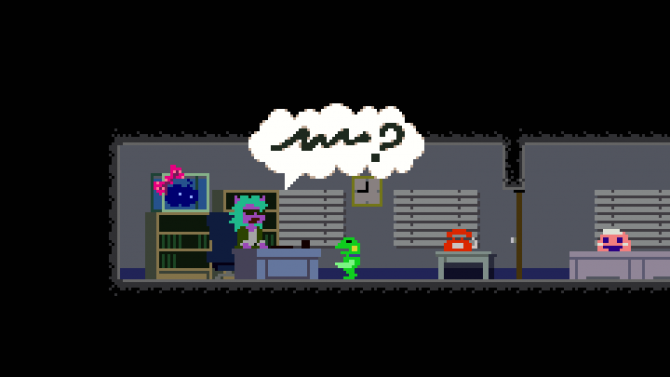 The player controls a humanoid frog that works as a janitor of sorts for Cat & Frog Inc., going around and ridding areas of the same mysterious black creatures seen on the title screen. Your boss, a humanoid cat who happens to have one of these black creatures as a pet, constantly yells at the player and their two co-workers, a large black cat and a pink blob with unintelligible gibberish. While the story is basically simple, it has a lot of deeper meanings that will keep the player invested for its short duration. As the player goes on their way through the first couple levels doing their job, they slowly start to notice their boss growing angrier and fatter as the creature she owns get larger and more grotesque. You eventually learn that the black creatures are called Negativus Legatia, which is close to the Latin translation of negative legacy. These creatures keep growing in power, and it is up to the player to stop them. While the story is pretty simple, it has a lot of deeper meanings that will keep the player invested for its short duration. Kero Blaster is also very simple to play. Players can shoot in three directions, available in a variety of weapons that they acquire as they progress which each have their own uses; such as a fire weapon being good against ice enemies, or a bubble weapon that is good to use if players are trying to attack enemies below them. Each weapon has its distinct advantages and disadvantages, and all are used pretty equally throughout the adventure. When enemies die, they can drop coins or health. These coins can be redeemed at stores for upgrades to weapons and health boosts, although items such as the 1-up are ridiculously overpriced on purpose. One also gets a jetpack about halfway through the game, which gives the player a double jump and more mobility when fighting enemies. If the player dies, they respawn on whatever screen they were on, but if they get a game over, they are booted out of the level and recover at a hospital, which has a health shop in it. Players start the game with only two hearts and three lives, so expect to see this hospital a lot. The game can be very tough, although Kero Blaster’s level design is superb. Each gameplay mechanic, whether it be a stage specific one or a new enemy, is introduced to the player in isolation before being thrown at them in a life or death situation while still feeling organic within the stage layout. By the end of the game, players will be taking on multiple obstacles from all of the stages in tandem, but will still be able to recognize and get around them due to how prior levels were designed. Kero Blaster’s level design is superb. Daisuke “Pixel” Amaya showed he was great at doing this in Cave Story, and Kero Blaster proves that it was no small fluke. Players fight a boss at the end of each level which, while difficult, are still designed well. Mid-stage bosses are also introduced partway through the game, although they do not have to be repeated if the player gets a game over. Some Cave Story fans might be disappointed by the linear levels and simplistic gameplay, but for what it is, it is great. The gameplay is very tight for the most part, although it is held back by two significant flaws: the fact that players must stop shooting before they change which direction to aim in, and its short length. Not being able to move fluidly between aiming in different directions hampered my experience with the game, as it occasionally led to a few unfair deaths in a title that was otherwise fair in its difficulty. This is clearly a remnant of the iOS version, as this type of control works better on a touch screen, but doesn’t translate as well to a controller. For the optimal experience, it is best to use the D-pad. 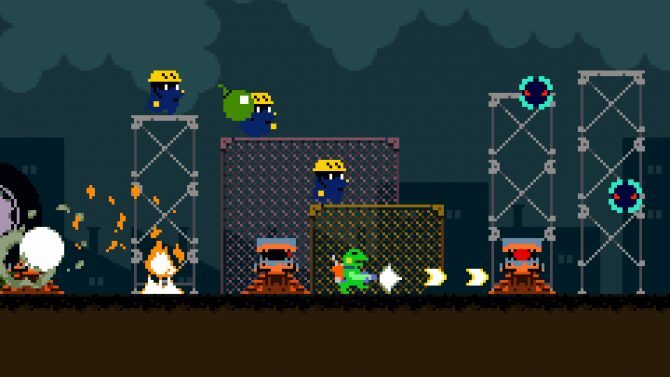 The game’s length would fit much better on a mobile device, so I would love to see Kero Blaster make its way to the PS Vita, Nintendo 3DS, or Nintendo Switch. The main game is also very short — containing a total of seven levels. While these levels average about fifteen minutes to a half-an-hour and are expertly designed, my first main play through still came in at about four hours. As the game is nothing extremely different from what we’ve seen from the genre before, this is a bit lackluster. There is a bit more content included in the PS4 version, including a boss rush mode, which I appreciated not being unnecessarily shoved into the final level, and a Zangyou mode (which translates to Overtime mode) that adds new enemies and levels, but is much more difficult, so many who purchase Kero Blaster might be turned off by Zangyou mode. 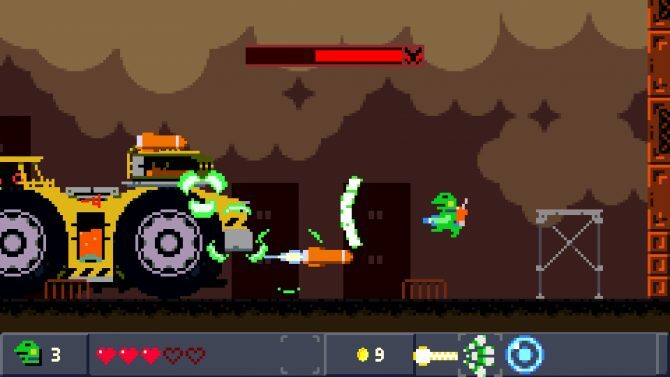 Even with these extra features and hidden weapons and secrets for players to find, Kero Blaster just makes its $10 price tag, and is only acceptable at that price due to the solid story, gameplay, and soundtrack. The game’s length would fit much better on a mobile device, so I would love to see Kero Blaster make its way to the PS Vita, Nintendo 3DS, or Nintendo Switch. Kero Blaster also has one of the most catchy chiptune soundtracks in recent memory. Made from Pixel’s open-source music program Org Maker, so each level’s theme is insanely catchy and nearly on par with the music from Cave Story. If you love chiptune music, Kero Blaster’s soundtrack is definitely worth checking out. The nuance in the level design, story, and soundtrack make Kero Blaster worth playing for 2D platformer and Pixel fans. Kero Blaster does feel much smaller and less monumental than Daisuke’s previous game Cave Story, but is a well crafted title nonetheless. While there sometimes are a few control problems with the DualShock 4, and the game is too short, the nuance in the level design, story, and soundtrack make Kero Blaster worth playing for 2D platfomer and Pixel fans. Cave Story this is not, but Kero Blaster is crafted just as well, and proves how talented of a developer Daisuke “Pixel” Amaya is.